Lots of cameras and phones can now film high definition video, so you might decide to make your own videos for your company’s website or YouTube channel. That’s great, and you can get professional-looking results if you pay close attention to certain aspects of the filming process. One area that you might overlook, however, is the quality of the audio that you’re recording. A significant portion of the perceived quality of a video actually comes from the quality of the audio in that video. 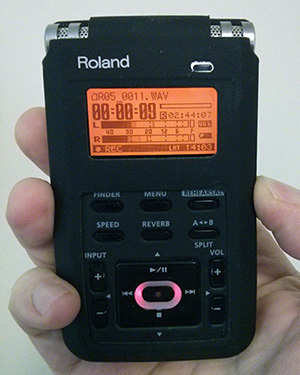 A common mistake, that can make a presentation or interview-style video look “homemade”, is to record the presenter using only the camera’s built-in microphone. Since the camera is usually some distance away from the speaker, and since many on-board camera mics just aren’t that great, the result can be a video with a thin, “tinny” or distant sound to the speaker’s voice. Add some room noise and echo, and the resulting recording can end up sounding pretty bad, even if the visual component looks fantastic. 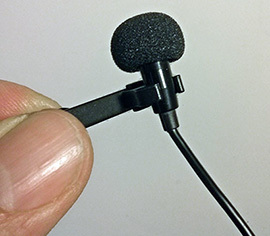 For interview-style videos, the best solution I’ve found is to use a small lapel (or “lavalier”) microphone, positioned on the interviewee’s shirt or blouse, about 6 or 8 inches below his or her mouth, which is connected on the other end either directly into the camera, or, better yet, into a dedicated digital audio recorder. This isn’t a very expensive set-up, and it’s well worth the money because you gain such an impressive boost in the quality of the sound in your videos. The lapel microphone picks up more depth and richness in the speaker’s voice, and the audio recorder ensures that everything is captured faithfully. The result is a video that sounds very professional, and not at all “homemade”! Though the choices for mics and recorders are many, and this isn’t meant as an endorsement of any specific products, these are the items that I use on our own videos: this ATR3350 lav mic and this Roland R-05 digital audio recorder. Not top-end equipment by any means, but together, they produce really great sounding interview-style videos. It’s one component of “professional-looking” videos that actually has nothing to do with the “look”!